a team of ten community trained volunteers to support survivors of sexual and gender based violence with counselling, medical and legal help. Burundi has faced more than a decade of civil war, leaving the country ravaged by recurring waves of violence and instability. Young Burundian women are particularly vulnerable and experience high rates of sexual and gender based violence on a daily basis in their communities. Landrada, a 23-year-old IT student, finds these high rates of abuse unacceptable and commits two days a week to volunteering at a local centre for survivors of violence. The centre offers counseling services and refers women on to appropriate health and legal services. Landrada uses social media to raise awareness of sexual and gender based issues and works to change perceptions and behaviours in Bujumbura. She also spends time talking with survivors who come into the centre. Through Landrada’s volunteering work she has realised that the problems are far greater than she had first understood. While her centre has worked with hundreds of survivors there are many more who, due to the shame and stigma associated with sexual and gender based violence, are not comfortable seeking medical help or coming forward to talk about their experiences. 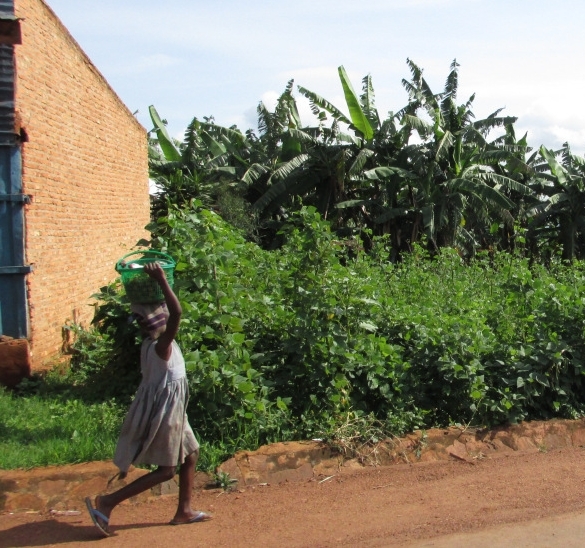 Young Burundian women are far more likely to speak to a friend or trusted member of their community when they experience violence rather than visiting a centre such as Landrada’s. $1,093 will enable Landrada to pilot a project in Bujumbura using mobile phone technology to reach more survivors of violence. Landrada will provide training and mobile phones to ten trusted women in the community who are often reached out to by survivors of violence, equipping them with the skills and resources they need to support women and direct them to appropriate services. The phones will be available to report acts of violence and to provide a means for survivors of violence to receive phone counselling from trained social workers at Landrada’s centre. of sexual and gender based violence with an objective to provide referrals for counselling, medical and legal services is going to revolutionise how sexual and gender based violence is perceived and tackled.